what is the academic’s sphere of impact in their teaching and learning activities? 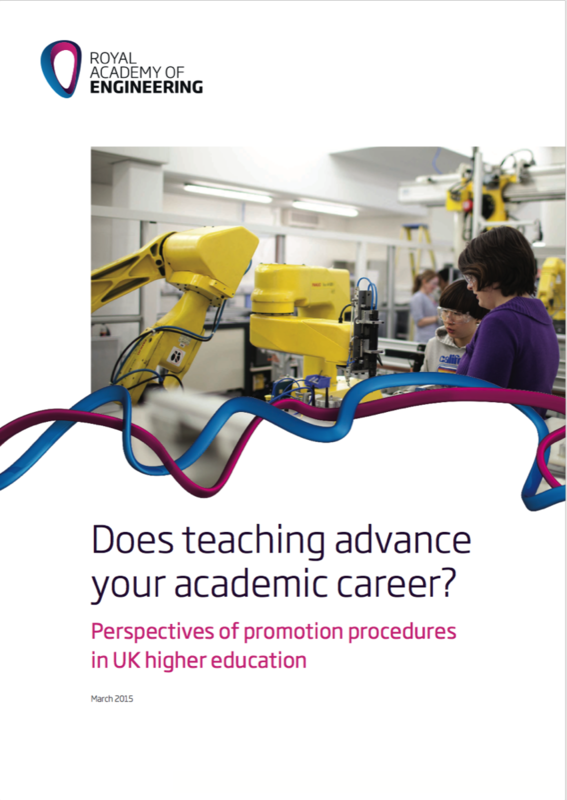 what promotion criteria define the academic’s achievements in teaching and learning? what forms of evidence can be used to demonstrate the academic’s teaching achievements? Who should be using the Framework? 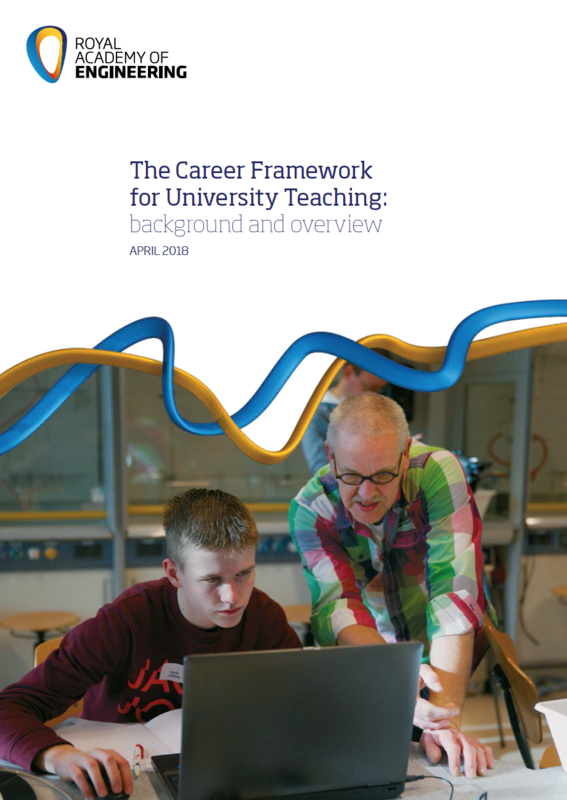 How can the Framework be used by universities? 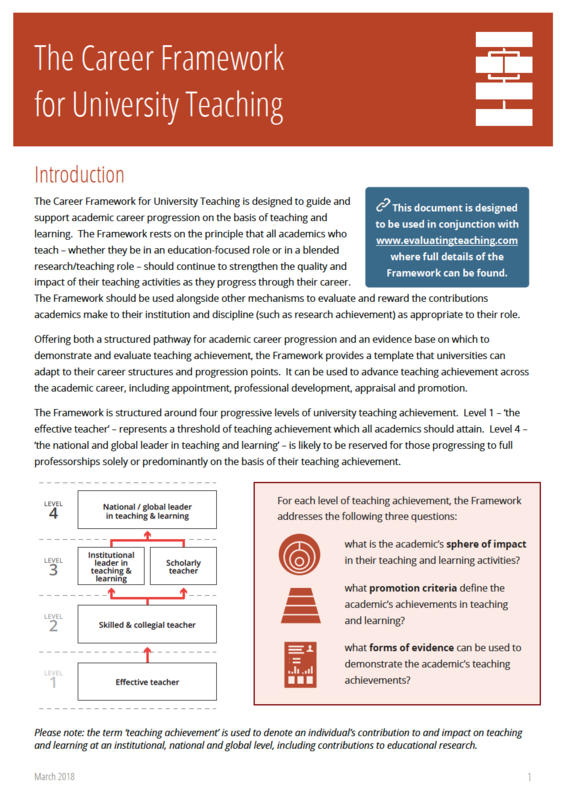 Published in April 2018, the report provides background information on the Career Framework for University Teaching: how and why it was developed, and how it has been applied in practice. 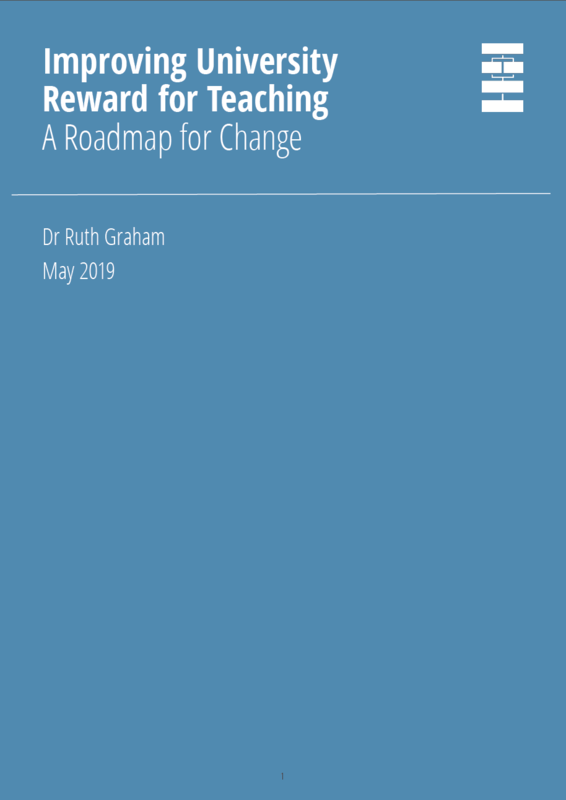 It describes the 15 university partners that have provided feedback on the Framework and case studies from how it has been used to inform change at universities from across the world. The interim Framework: an interim version of the framework was published in January 2016, which also contained further information about the context for the Framework’s development and the research underpinning its design. 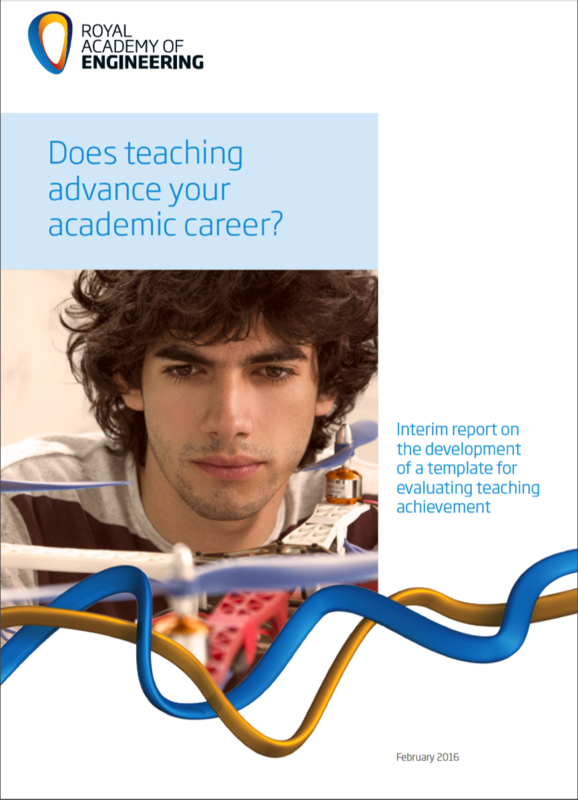 Previous research: the framework builds on a report published by the Royal Academy of Engineering in March 2015 – Does teaching advance your academic career? – which looked at the perceptions of the recognition of teaching in academic promotion.